This is a funny Christmas ecard in which the camera begins beside Rudolf. He looks quite fed up and as the camera moves to the right we can see that his fellow reindeer feel the same way. 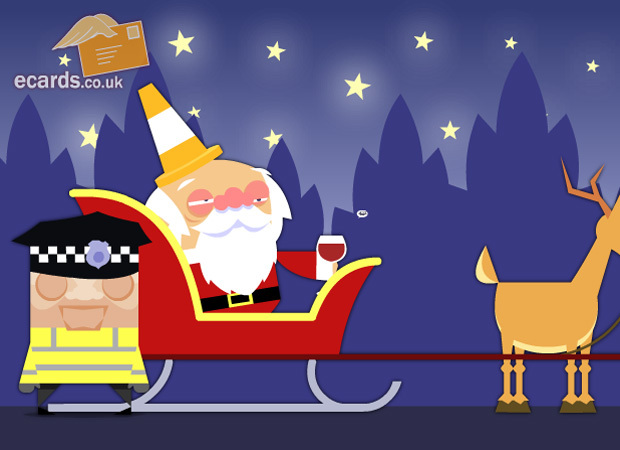 Eventually we get to Santa's sleigh and he is looking rather drunk with a police officer standing beside him! Santa says "...ermm...about 3 million sherries officer..." and a big "Merry Christmas" fills the screen to end this great e Card.